Friday was a fantastic day for all at Clear Edge. Off we went to Horsforth Park for our annual sports day, raising all we could for The Alzheimer’s Society. 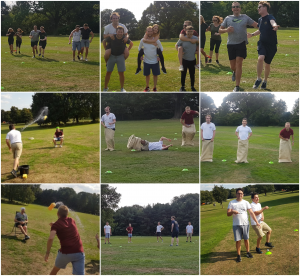 We piggy backed, ran, jumped and even rolled (sorry Mark) our way through the day and raised a grand total of £195 – £60 of which came from throwing wet sponges at our Directors! We are still working hard to reach our target, next up on our list is the Abbey Dash!